ispace, a company developing robotics for lunar delivery and resource exploration, announced today that SpaceX will be the launch provider for its maiden voyages to the Moon scheduled for 2020 and 2021. The company’s first two lunar missions will be carried out under the program name HAKUTO-R, standing for “Reboot”, a reference to ispace’s management of HAKUTO, a Google Lunar XPRIZE competition finalist. ispace has contracted directly with SpaceX to carry its spacecraft -— its lunar orbiter/lander and lunar rovers -— for the HAKUTO-R program as secondary payloads on SpaceX’s Falcon-9 rocket. The launch periods for the first and second missions for HAKUTO-R are targeted to begin from mid-2020 and from mid-2021, respectively. 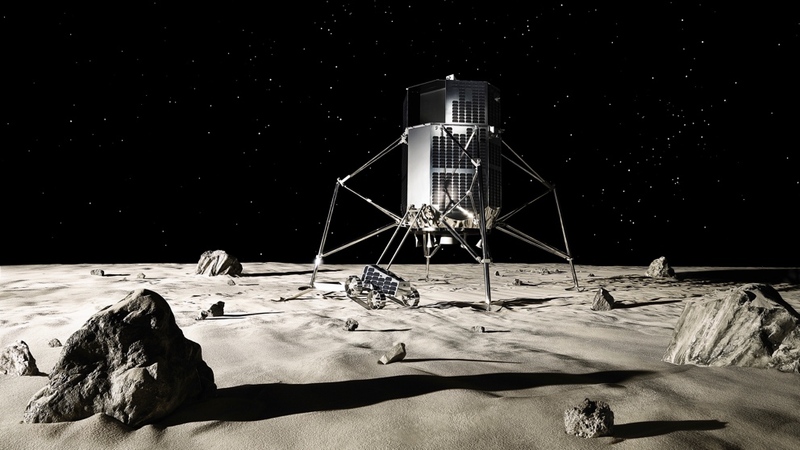 ispace is the first lunar exploration company to purchase multiple launches. “We share the vision with SpaceX of enabling humans to live in space, so we’re very glad they will join us in this first step of our journey,” said Takeshi Hakamada, ispace Founder & CEO. The decision to bring back the “HAKUTO” name -— which means “white rabbit” in Japanese, based on local folklore about a rabbit on the Moon -— comes 6 months after the closing of Google Lunar XPRIZE. The HAKUTO-R program will act primarily as technology demonstration for ispace. Success criteria for Mission 1 has been defined as an orbit around the Moon, while Mission 2 will perform a soft lunar landing and deployment of rovers to collect data from the lunar surface. “We are entering a new era in space exploration and SpaceX is proud to have been selected by ispace to launch their first lunar missions. We are looking forward to delivering their innovative spacecraft to the Moon,” said Gwynne Shotwell, SpaceX President & COO. ispace released the latest designs of its spacecraft following the successful completion of a Preliminary Design Review (PDR), in which a panel of 26 external experts from Japan, Europe, and the US -— including the Japan Aerospace Exploration Agency (JAXA) -— reviewed both technical and programmatic status of HAKUTO-R. Key feedback from the PDR Board Report concluded that the PDR of the lunar orbit mission is “successful pending closure of key actions” and all aspects of the design were found to be feasible.